One of the first steps to creating a new landscape bed is to establish a neat, consistent edge. Maintaining an existing edge is also an effective way to keep beds looking tidy. Some contractors prefer a power tool such as an electric edger or a trimmer to edge their landscape beds, but others agree that manually edging with a tool allows for more control. A half-moon edger is a common and efficient option, as the edger’s depth guard will create an edge with a consistent depth. Sharpen the tool with a file or grinder to make the edging process easier and to make a cleaner cut. It’s helpful to mark the line you want to create with spray paint or chalk to keep the edge straight and smooth, especially when there’s a large area to edge. Also remember to beware of any irrigation lines, drainage pipes, electrical wires or cables that may be buried in or around the area being edged. Once the edge is finished, a barrier will help keep it in place. Common types of barriers include poly, metal or aluminum edging, as well as bricks, rocks, stone or wood. To prevent weeds, grass or invasive plants from entering the bed, extend the barrier at least 2 inches below the soil surface. 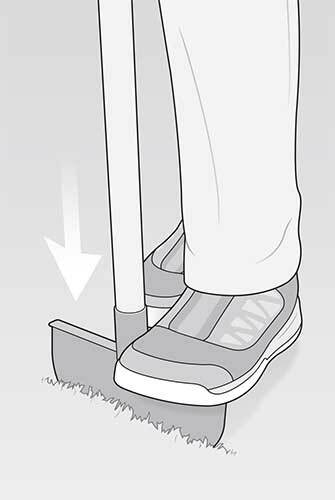 Follow these steps to properly edge a landscape bed using a half-moon edger. Using an edger, slice through the sod at a 90-degree angle. 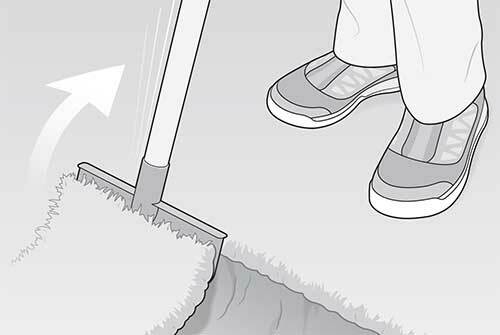 Using the edger, push the soil away from the freshly-cut edge, creating a trench. Continue steps one and two for the desired length of the edge. 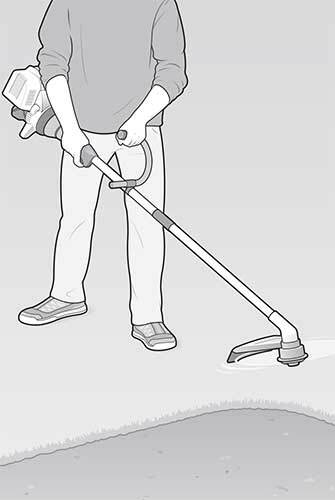 Using a string trimmer, trim the grass vertically in preparation for installing a barrier to keep the edge in place.